With over 30 years of experience in sourcing 100% handmade rugs, Siamak Shamouilzadeh and the staff at Ariana Rug Gallery have the skill, knowledge, and ability to help you select the best rug for your living space. We have a large selection of beautiful handmade, antique, and re-creation rugs from all major rug-producing countries including Iran, Turkey, Pakistan, India, Tibet, Russia, China, and more. We offer custom handmade rugs of any color, shape, and size. Ariana Rug Gallery is a full-service gallery. We have expert hand cleaning and restoration available for your custom rug. We also carry tapestries and do appraisals. Deciding between a couple rugs? Ariana Rug Gallery will bring your favorites to your home so that you can take your time to choose which rug suits your preferences best-free of charge. For rugs in need of mending, we offer expert restoration and repair. Rugs of any size are washed and removed of stains. 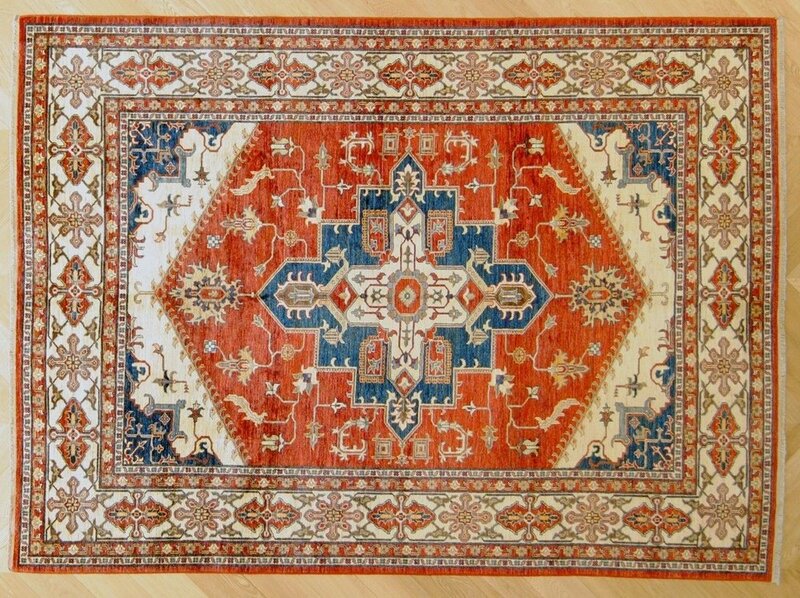 Brighten up any room in your home with one of our ornate handmade rugs.